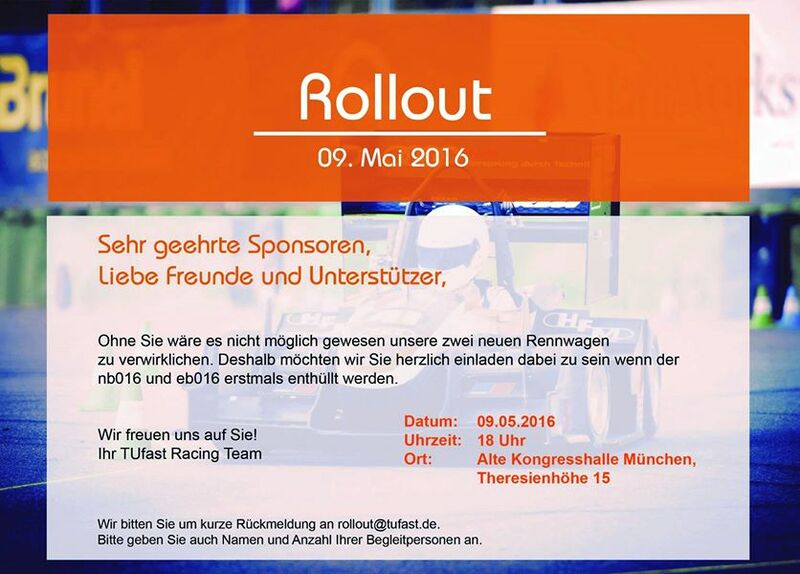 On 09.05.2016 our rollout this year takes place. We are looking forward to present our two new cars. We also sincerely thank our supporters and friends, without which would not have been possible! The rollout will take playe at the Alte Kongresshalle in Munich at 18:00.